Those are what I treasure most. There’s no one image by itself that makes me tilt my head and utter that one familiar awww. But collectively, pictures are treasure troves. Photos are so valuable for me that one year I was willing to pay thousands of dollars to retrieve them. It was 2001. Before digital was really a thing. My husband and I had moved from Naperville, Illinois back to Jacksonville, Florida. This time we decided to use a moving company. A moving company was convenient, but the unforeseen event was stressful. The movers held our belongings hostage. They wouldn’t deliver five years’ worth of our combined life unless we sent them extra money! Thousands of extra dollars. “What are you so upset about?” My Zen-like husband asked. This was when dropping off my 110 film cartridges to the nearest drug store was common practice. This was when mailing my film to an unknown location and then eagerly awaiting said development saved driving time. In that box, were pictures of my husband and I before we were wife and hubby, before we were engaged to be, and before we even lived together. That clear box held pictures of my little cousins, when they were actually little and not about to graduate high school or have babies of their own. In that crate, were pictures of my own mom and dad on our one and only family trip to Disney World, swimming in pristine pools and foreshadowing my adult life. In that crate is life, immortalized. How t he situation was resolved is a blur. But they did deliver our belongings and all of my photos were among them. 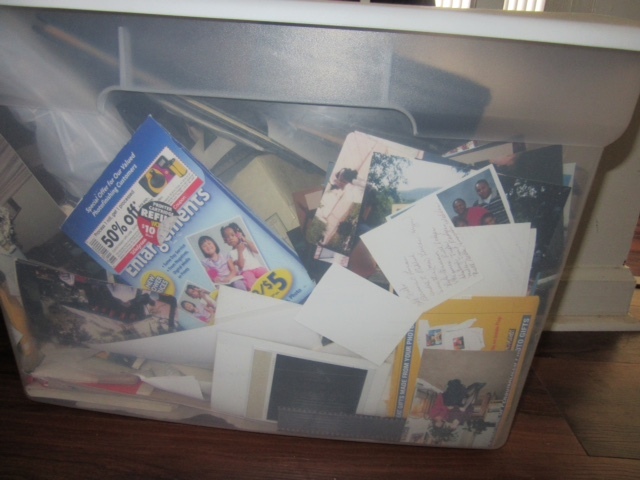 Before I knew it, I had my 73 quart clear box full of pictures where they belonged, safe and sound in my care. Pictures are so important to me that I’ve given photo presents. For one of my cousin’s birthdays, I gifted her with a picture of her and me. It was a collage. On one side she held me as a baby. On the other side, she and I stood hugging when I was over 20. Two spaces and time captured our shared love. My grannie used to throw elaborate birthday parties for my now, deceased grandfather. Once he died, she continued to give them as more of a commemorative experience. One Christmas, I gifted her with a framed collage of her years of summer gatherings. Pictures can kindle forgotten emotions. And I figured the least I could do for her, after she had put so much energy into each and every one of these celebrations was to honor them with a photo collection. We were late to my own party because he had to return to the bakery and drop off the picture. Sounds a bit prima-donna-ish, but it had to be. Pictures represent tangible memories that remind you of who you were and how you got to be who you are. The self-reflexivity of me enjoying my sixth birthday cake blowing out my 40th birthday candles, well that’s imagery. A reflection of a reflection. Now I have children of my own. At first I was really good at taking pictures of them during those very important moments. Birthdays. Halloween. First day of school. Promotions. Then it happened. I think it was around the time that my oldest received her first phone. No longer did she want me to take her picture. The typical pre-teen response was a saddened, f-m-l pose. She was really great at these. Sometimes I thought people would judge my parenting based on these gloomy images. I soon realized that pre-teens and teens all over the globe replicate this very look, unless it’s on Instagram. “You’re gonna look back on this and hate the fact that you didn’t smile,” I would warn. She had even managed to desecrate the betrothed school picture! Every school picture from 2008 up to this current year reflects an unhappy face. My daughter wasn’t the only one taking cell phone pics. I had begun taking so many photos with my phone that I’d ditched my camera. While my oldest daughter was repulsed by the idea of my taking pictures of her at any event, my youngest daughter earned the title, my selfie baby. Whenever I wanted to take a picture, she would grab the camera, tilt it a little at a high angle and press something on the side. “Send that one to me,” she ordered. “Mommy. You don’t have to press the button in the middle. And you don’t need that timer thing. Just press here.” She showed me the volume button on the side of the phone. And I instantly became a cool Gen Xer. In my mind. I had ventured down the selfie, cell phone, let’s take a pic right now, right along with the rest of society. My most treasured thing had become everyone’s most treasured thing! Don’t get me wrong. I know I didn’t invent snapping photos or collecting them. That’s why photo albums were created. But this was sign number one for me. I had lost touch with what I loved so much about taking the picture in the first place. “They’re all on Facebook,” I answered. That was sign number two that what I once treasured had gone amiss. A decade ago, there would be no problem finding and sending her a few photos. But in recent years, social media had turned from a great idea for sharing with so-called friends and intermittent family members to the only place I stored images. One day I printed these pictures. I was updating the photos that decorated our home. I was dismayed. Cell phone pictures are not quite the same as digital camera images, no matter how great the pixels are. Disappointment filled my picture-taking spirit. 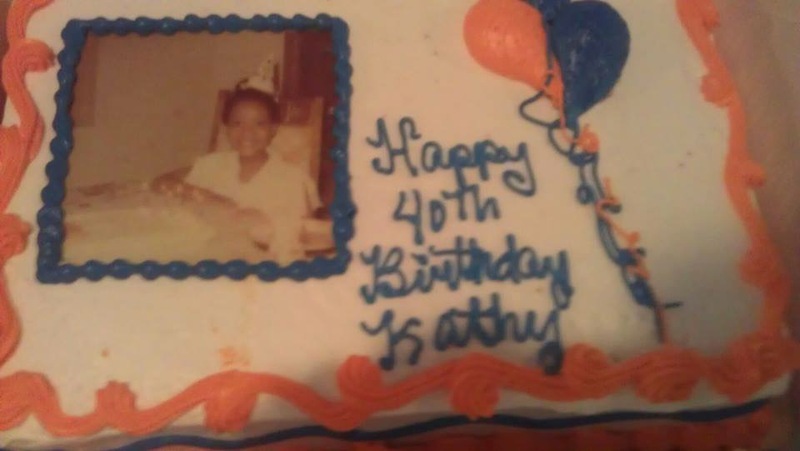 How would I re-create my daughter’s 12th birthday with fuzzy, pixelated images? “I need a camera,” I announced to my husband. “Yep. A camera,” I repeated. We visited Target. We browsed Best Buy. I found a Canon that I love. Now that everyone’s digital, so too are cameras. But even better, I can sync my camera with my cell phone. From there, I crop, change the lighting and even do fancy tricks, like record a video and then include a picture at the end. The 21st century is merged with the 20th century. And I’m back to collecting what I treasure the most. Pictures are a precious…. I remember lugging along all the pictures and videos with me during every move.. I just never could trust a moving company with that 🙂 Now it is the digital age, sort of takes the fun of out of …printing pictures like we used to..
…did you see that I nominated you for the liebster award? Thank you so much! Is there something I should do now? Ok I will … Thanks again! What a great story! Thanks…and how do you pish a button the side of your phone to take a picture? Thanks Prayyior! It’s the volume button on your phone. Did you see that I nominated you for an award? No, I did not see that you had nominated me…I am going through mail now to see where I missed it…Thank you so much! I will go hunting for that! I’m so glad you did. And you’re welcome! Thank You so much for nominating me! I truly appreciate it!